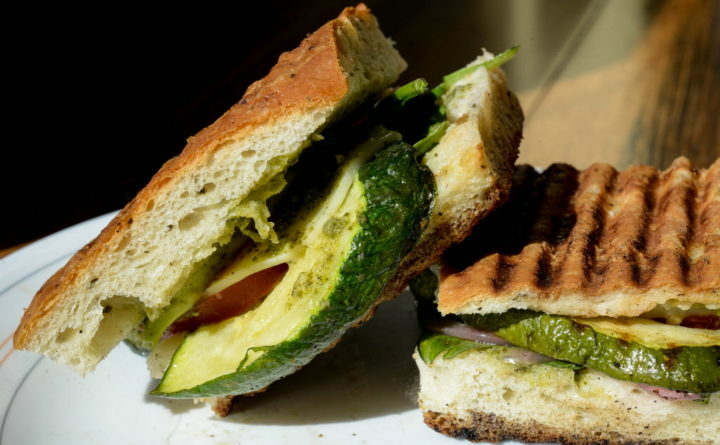 Vegetarian panini at Fork & & Spoon on Main Street in Bangor. eating meat or all animal products, you certainly are familiar with the standard vegetarian or vegan choice on a common menu.” Oh, goody,”you’ve likely stated. Fret not, our animal-loving buddy. In eastern Maine, there are loads of locations to get something to consume that’s above and beyond the dull old requirements. From a quick bite for breakfast to a fancy supper out, here are nine locations to please every type of vegetarian and vegan. Fork & Spoon, 76 Main St., Bangor Given that 2015, this cool downtown lunch area has offered an array of vegan and vegetarian alternatives– in truth, the majority of the menu is at least vegetarian, and F&S likewise uses vegan sandwiches such as chickpea tuna and barbecue jackfruit. There’s flaky, rich vegetarian casserole, and great deals of vegan baked products, too. If you’re searching for variety, this is the location. Matt Denbow pours the broth of the Thai red curry soup for a customer at Novio’s Restaurant in Bangor. Novio’s Restaurant, 130 Hammond St., Bangor There are a lot of alternatives on its menu for meat-eaters, however for large variety and attention to detail, Novio’s takes the dairy-free cake for a high-end vegetarian or vegan experience. 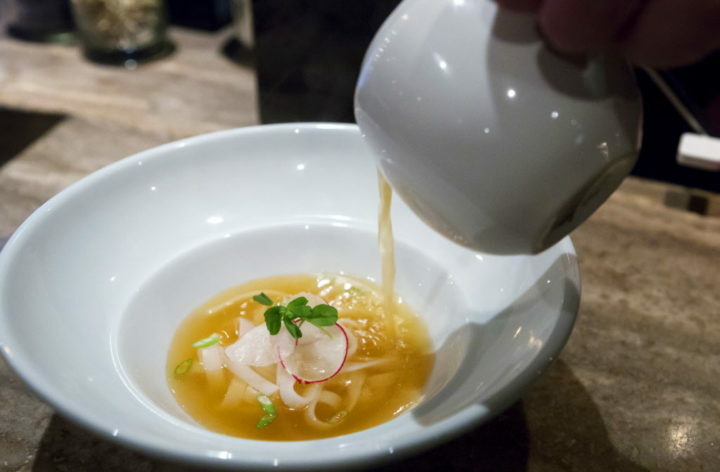 Though the menu modifications seasonally, diners can always expect a minimum of a number of options each for starters, salads, entrees and desserts that are vegetarian or vegan. There’s a veggie lasagna made with vegan macadamia “cheese.” Need we say more? 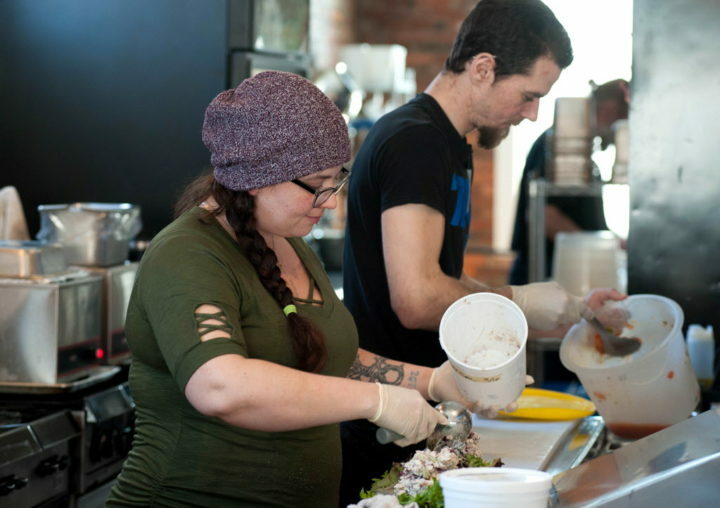 1 Central St., Bangor Though the Grindhouse does not have a long list of veg options, it does have a menu item that’s quite noteworthy: the Impossible Burger, a veggie burger that tastes as near beef as it’s possible to get without it in fact being made from cow. Vegetarians can get a hamburger made with the Difficult patty, or have it made vegan by leaving out the “grind sauce” and real cheese and adding vegan cheese. Grindhouse likewise serves Difficult meatballs for its meatball sub. Central St., Bangor You may be shocked to discover out that Bagel Central is a fantastic location to eat not just vegetarian, but consume vegan as well. With vegan cream cheese, 6 varieties of house-made vegan bagels, vegan cheesecake and cookies, and routine everyday specials that are either vegan or vegetarian, it’s actually one of the much better choices for animal-product-free dining in downtown Bangor. 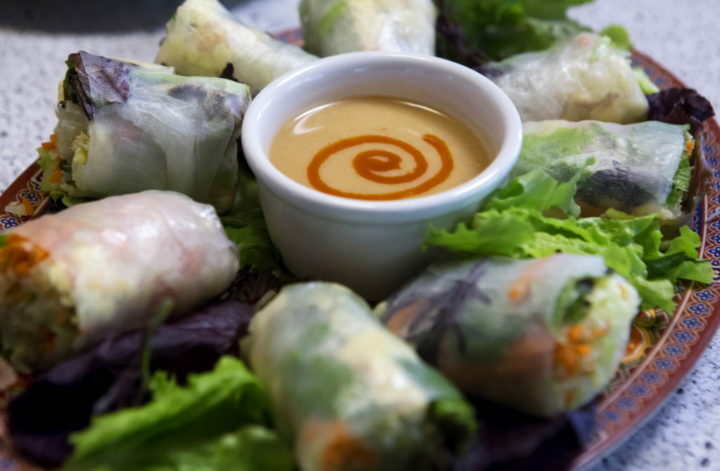 Fresh rolls are seen at the house of Bich Nga Burrill, chef for Far East Cuisine, in Winterport in this October 18, 2016, file photo. Burrill has actually been a fixture at local farmer’s markets for more than a decade, providing fresh Vietnamese meals to numerous in Maine. The best locations to eat vegan around these parts might in fact be at various farmers markets– and no, we don’t suggest gnawing on a hunk of raw cauliflower. Regional markets spotlight a number of vendors, including longtime vegetarian stalwart Far East Food, that makes delicious Vietnamese and Chinese dishes at the Orono Farmers Market every Saturday morning. Likewise on Saturday early mornings, the European Market on Dollar Street in Bangor hosts Mediterranean Cuisine by TS– almost all of what Terri Sleeper makes is animal-product-free, from baba ganoush to vegetarian grape leaves. Bangor-based Biggi’s Organic Bread is one hundred percent vegan, and can be discovered at the Ellsworth Farmers Market on Saturday early mornings, and the Bangor Farmers Market, 11 a.m.-2 p.m. Sundays. 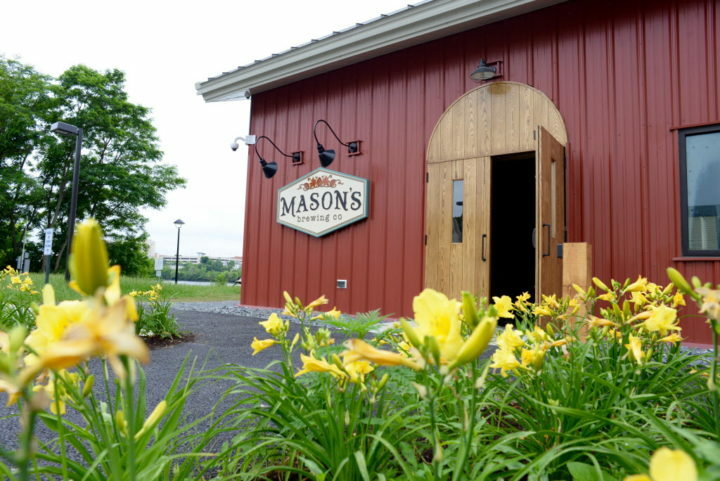 Mason’s Developing Company in Maker. Vegans and vegetarians, don’t look at the meat-palooza that is the majority of the menu at Mason’s in Maker. Focus on the yummy veg products available to eat, like the buffalo cauliflower, the tasty meat-free salads, the jackfruit carnitas sandwich, the house-made veggie burgers and the vegetarian meatball pizza. And the beer. That’s vegan, too. Sweet deals with line up at The Whole Grain Bakeshop in Brewer. 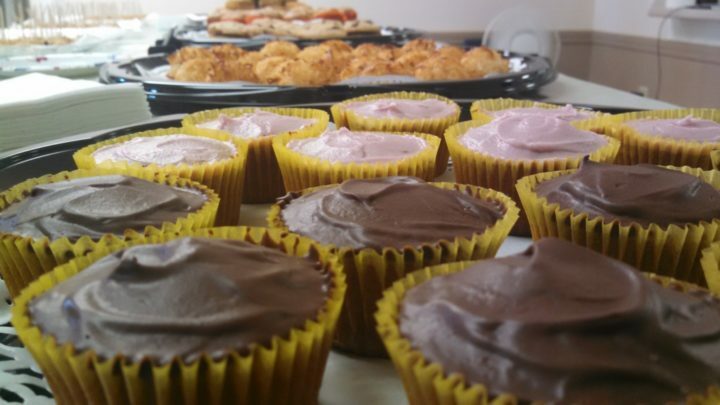 The Whole Grain Bakeshop, 231 North Main St.
, Maker Though other locations, like Fork & & Spoon and Bagel Central, provide vegan baked items, just The Whole Grain Bakeshop in Maker specializes practically solely in vegan deals with (gluten-free, too!). The better concern is what’s not vegan. You can indulge, no concerns asked! 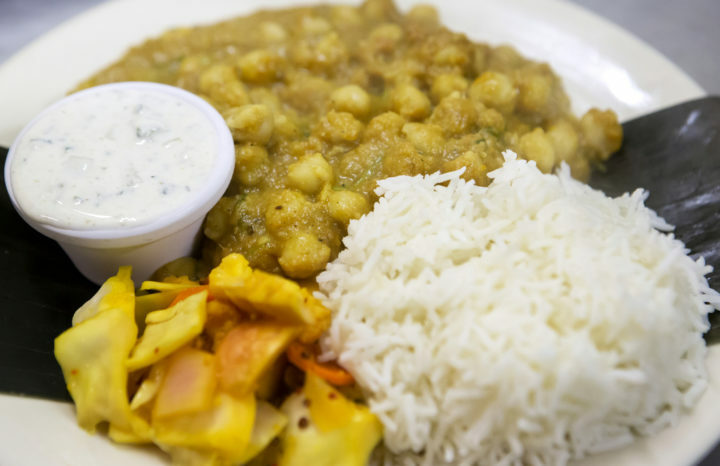 This delightful Indian and Sri Lankan restaurant in Ellsworth has meat dishes, yes– but for the critical vegetarian or vegan, Serendib uses a huge selection of delicious options. We like their traditional Sri Lankan-style curry made with mushrooms, though other deals with, like the tempered watercress with chickpeas, or amazing sides like traditional dhal or beetroot curry, are likewise winners. Not gon na lie: the majority of the menu at 86 This in Ellsworth is not vegetarian, and practically none of it is vegan. There are 3 vegetarian covers readily available here that are knock-your-socks-off excellent. The Mountain Goat is layered with house-made black bean hummus, tasty olives and feta, and crunchy veggies. The Beetroot is lovely assortment of beets, walnuts and dill. And the Yam I Am is a genuinely stunning burrito, made with spicy roasted sweet potato house-made hot sauce– it’s a can’t miss lunchtime reward.